The new stations are available in version 4.4. It's rolling out in the usual slow Play Store way, but a tipster sent in the APK and we've uploaded it to APKMirror for you to download at your leisure. 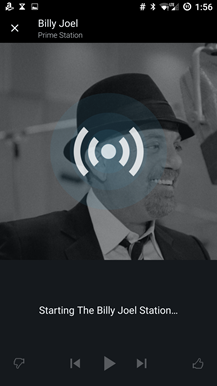 The feature is only available to Prime subscribers. The stations themselves are a little rudimentary: they're split along strict genre lines or they start with a single artist, and there's no way to customize the playlist beyond giving individual songs a "thumbs up" or "thumbs down." 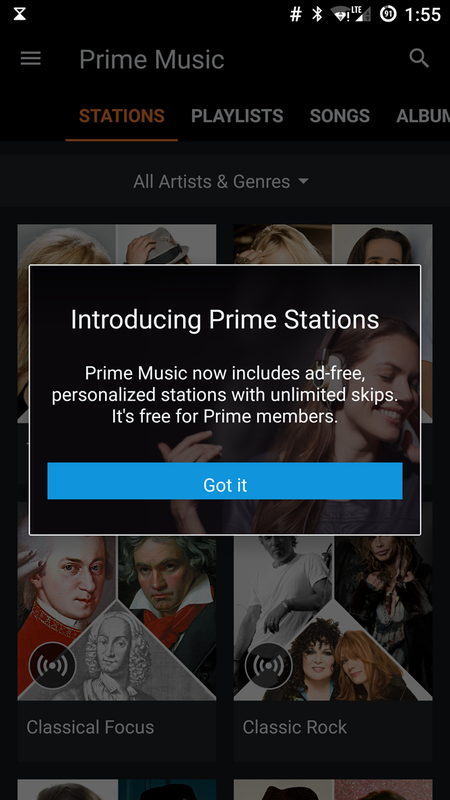 On the other thumb, integration with Amazon's cloud system makes these radio stations more flexible than, say, Pandora. 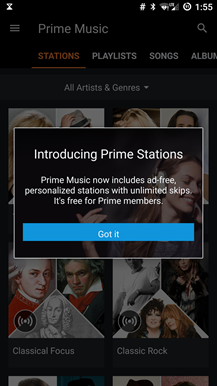 Since they're part of Prime, the stations are ad-free and give you unlimited skips. 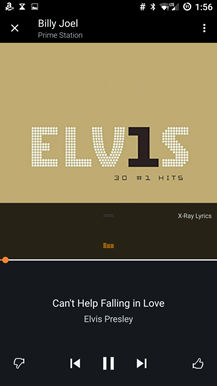 You can add individual songs to your cloud library or a custom playlist, or download the song directly to your phone or tablet. 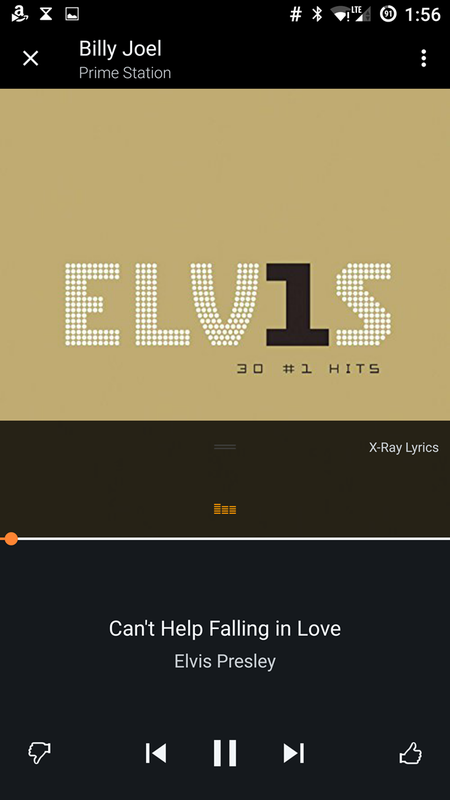 Oh, and Amazon Music includes notification controls, unlike some music players I could mention. All in all it's a pretty nice update, especially if you're a Prime subscriber who doesn't feel like paying for another service. 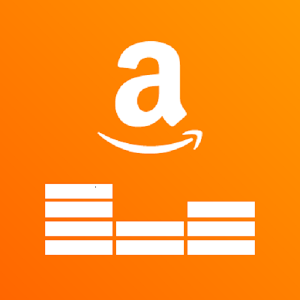 The APK is signed by Amazon and upgrades your existing app. The cryptographic signature guarantees that the file is safe to install and was not tampered with in any way. Rather than wait for Amazon to push this download to your devices, which can take days, download and install it just like any other APK.